The Buckman Laboratories funding, valued at R70 000.00, has been used to fence and install an entrance gate for the 1 hectare garden for Siphikeleli Communal Garden in Ward 6 with the assistance of Lima Rural Development Foundation Engineers. During construction, Lima hired 5 unemployed individuals from the greater hammarsdale area to provide extra manpower. Part of the funding was intended to install a 5000 litre water tank, however, after engaging with the communal garden growers this was not deemed ideal as they would have to increasingly rely on the eThekwini Municipality to fill up the tank fortnightly. A decision was therefore made to exploit existing ground water supply on the site whereby the perennial spring inside the garden was protected. In order to do so, the participants were provided with a manually operated treadle pump that propels water at a rate of approximately 40 litres per minute. If each participant pumps for 10 minutes in the morning and 10 minutes in the evening, the growers will have access to approximately 2000 litres of water per day. The water is thereafter channeled through a hose pipe to a mounted water tank in the garden – supplied by the eThekwini Municipality. The projects’ participants have reported a noticeable reduction in livestock invasion and vegetable theft since the fence was repaired. 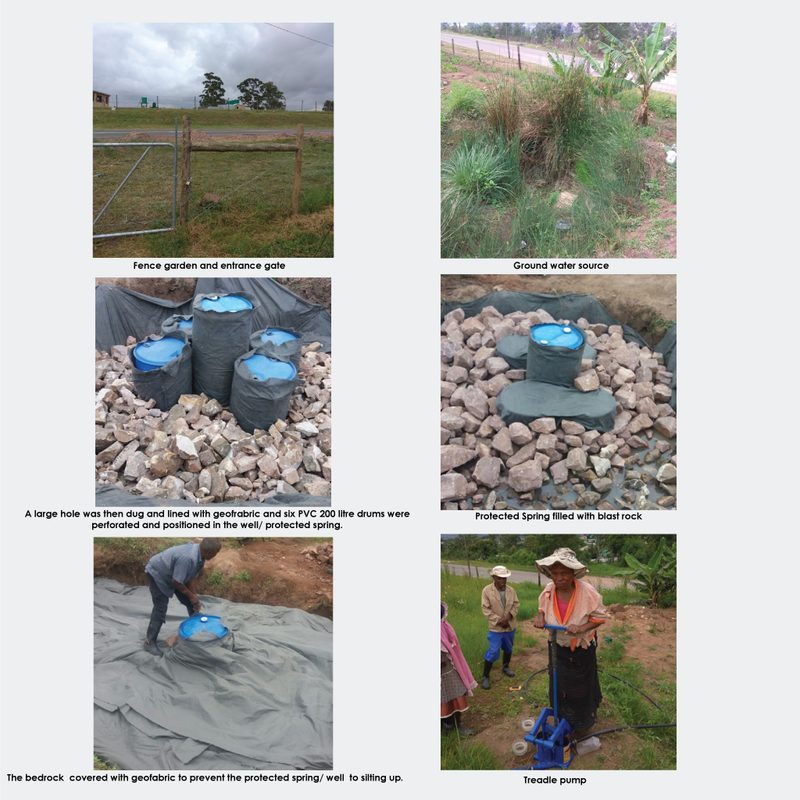 The additional water storage facility on site has further encouraged participants at the communal garden to increase their production of vegetables. The improvements made through Buckman Laboratories’ funding has generated interest from other stakeholders including the eThekwini Municipality – who have been providing a tractor service to plough the entire 1 hectare land – as well as the KZN Department of Agriculture & Rural Development who have donated maize and bean seedlings to the communal garden participants. Showing how “Together We Can Do More”.